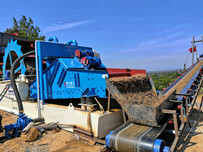 LZZG TS Series Dewatering Vibrating Screen is specially designed for desliming, demedium, dehydration. 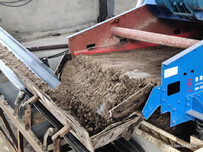 It is widely used in the process of classification and dehydration of granules and recycling of mud and stone. Adjustable vibration frequency to achieve the best effect. Arc feeding screen surface to improve efficiency. Sieve plate is made of composite polyurethane, high wear resistance, the same mesh size and uniform distribution, last long. After dewatering, the sewage will flow down to the tank, keep the clean work site. 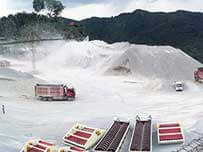 Spring can absorb vibration enough, each group spring’s deformation and fatigue resistance is the same, service life of the spring is normally longer than 24 months. 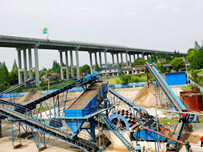 Previous：What is sand mining ?